Google Pixel series pre-order starts in India on Flipkart. Price range starts at INR 57,000. Orders will start shipping on October 25. Google Pixel and Pixel XL have now rolled out for pre-order in India officially at the online shopping website Flipkart. Pixel pre-order on Flipkart starts at a price of INR 57,000. The high cost of the phones does justice as you don’t see these Pixel features in the Nexus devices. Google Pixel series pre-order offers No Cost EMI. All the variants of Pixel series are available for the pre-order except the Pixel XL 32GB variant. Pixel pre-order on Flipkart promises INR 27,000 maximum exchange offer on and also 10 percent of EGVs of the phone’s price up to first 1000 orders. According to Google, the Pixel series will be made available to almost thousand individual and multi-stores that include retail stores like Vijay Sales, Croma and Reliance Digital. 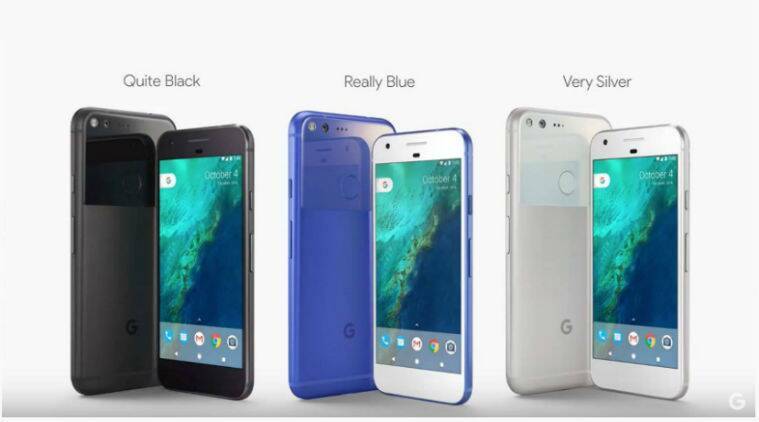 Google launched these Pixel phones a week before at the Google event in San Francisco and carry exciting hardware specs as well features. Pixel and Pixel XL are powered by Quad-core SD821 processor. They run on Android Nougat 7.1 and has a good 4GB Random Access Memory. Both of them sport a 12.3-MP LED Flash included in the rear camera, 8-MP front camera and LDAF. Pixel series also have a fingerprint sensor at the back of the phone. The difference between these two phones are their screen size and battery backup. Pixel features a 5-inch screen with 1080pixel resolution and 2,770mAh battery life. While, on the other hand, Pixel XL features a 5.5-inch Quad HD screen and has a 3,450mAh battery life. Pixel pre-order on Flipkart will start shipping from October 25. The prices offered by the Google Pixel series pre-order in India starts from INR 57,000. Google Pixel 32GB variant is priced at INR 57,000, 128GB variant at INR 66,000. The high-end Pixel XL 32GB is priced at INR 67,000 and 128GB variant is priced at INR 76,000. Go book your own Pixel phone now!